The creation of a building is ultimately an act of unbridled optimism. Any designer who is worth his or her salt always begins work on a project believing it will turn out well and in some small way make the world a better place. But buildings are complicated and bringing one into the world is a intricate task that requires the skill and expertise of many different individuals across many different disciplines over an extended period of time. Sometimes despite everyone's best intentions, things do not turn out as well as hoped. Sometimes there are problems that design cannot fix. Although parenting and architecture share relatively few similarities, raising a child is also an act of unbridled optimism. And while there will no doubt come a time where I cannot fix all the problems nor ease all the pain that my daughters will face in life, for now I still can. 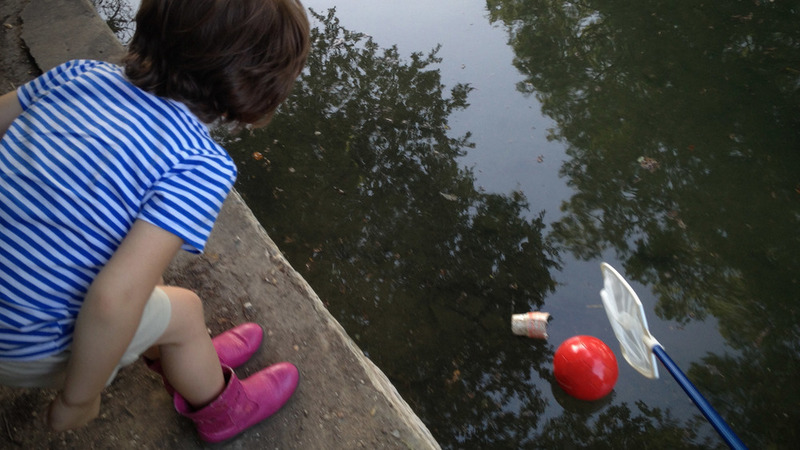 And so when Sammy inadvertently kicks her soccer ball into the San Antonio River, Daddy can use his design abilities to engineer a way to fish it out and make the world right again.